Here are three superb stories by one of America's finest writers of fiction. Henry James is best known for his many brilliant novels, among them The Bostonians, The Ambassadors, The Wings of the Dove, The Golden Bowl, and his masterpiece, Portrait of a Lady. 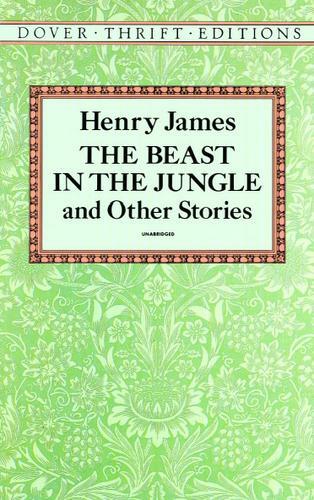 But he is deeply admired for his stories as well, which perhaps even more pointedly reveal the extraordinary subtleties of his art.That art is nowhere more evident than in "The Beast in the Jungle," regarded by many as James's greatest achievement in short fiction. It is a gripping portrait of a man alienated from life and love, haunted and obsessed by his fears. James's uncanny ability to communicate the inner lives of his characters is also richly evident in "The Jolly Corner" and "The Altar of the Dead," two superbly crafted tales that explore the complex interlacings of loss, love, and the ever-present past in the lives of their protagonists.